Jonathan Comer is a professor of psychology at Florida International University, where he also directs the Mental Health Interventions and Technology (MINT) Program. He is President-Elect of the Society of Clinical Psychology (Division 12 of the American Psychological Association) and a leader in the field of clinical child and adolescent psychology. The author of 130 scientific papers and chapters, he has received career awards from the American Psychological Association, the Association for Psychological Science, and the Association for Behavioral and Cognitive Therapies for his research on innovative treatment methods, childhood anxiety and disruptive behaviors, and the impact of traumatic stress, disasters, and terrorism on children. His current work also focuses on ties between psychopathology, neurocircuitry, and the intergenerational transmission of psychological problems. 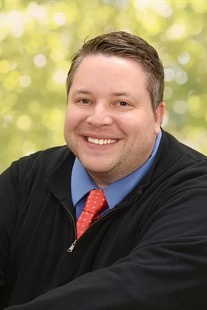 In addition to the textbook Abnormal Psychology (10th edition), Professor Comer has authored the textbook Childhood Disorders (2nd edition) and edited The Oxford Handbook of Research Strategies for Clinical Psychology, among other books. He serves as Associate Editor of the journal Behavior Therapy and is on the Board of Directors of the Society of Clinical Child and Adolescent Psychology. He is a Fellow of the American Psychological Association, the Society of Clinical Psychology, and the Society for Child and Family Policy and Practice. He is also a practicing clinical psychologist. Professor Comer was an undergraduate at the University of Rochester and a graduate student at Temple University. He currently lives in South Florida, with his wife, Jami, and their children Delia and Emmett. He loves music – both playing and listening – and enjoys keeping an eye on the often-frustrating Philadelphia sports teams that his father taught him to love/hate.